P.R. : Thank you for getting back to me. what happened last month at the HUUB, in the heart of Orange, was pretty special. Tell me a little bit about yourself and your history in Orange. Ashley J. Cartwright: I was born in Orange Memorial Hospital and was here briefly as a child. I relocated back to the City of Orange Township over ten years ago and have been involved in the community ever since. I serve on the Rent Leveling Board and help both tenants and landlords in our city. My company, Cartwright & Associates Consultation Firm, is located in our city’s West Ward, and through my company I have created many initiatives to bring quality programs back into our city. In 2013, I became a certified navigator for the Affordable Care Act and enrolled a countless number of Orange residents in an affordable health care package. During that same year, I worked in a local nonprofit to establish grants to assist with homeless prevention and job readiness. In 2015, I partnered with the Orange Board of Education, Orange Police Department and the National Crime Prevention Council to implement the “See Something, Say Something” crime prevention program in our schools, a program that teaches children the importance of reporting crimes they may have witnessed to a trusted adult. I am an anti-bullying advocate here in the City of Orange Township. My company also works closely with the Mayor’s Office to research programs and funding sources to benefit the residents in our city. So, how did the rally come to be? Why did you feel this was the necessary next step? The rally came to be after a number of residents expressed their concerns to me regarding the increase of crime in the City of Orange Township. Many of them requested I arrange a meeting with Mayor Dwayne D. Warren, Esq. and the community. I took their concerns and organized a rally that began at the Orange Police Department and ended at City Hall. 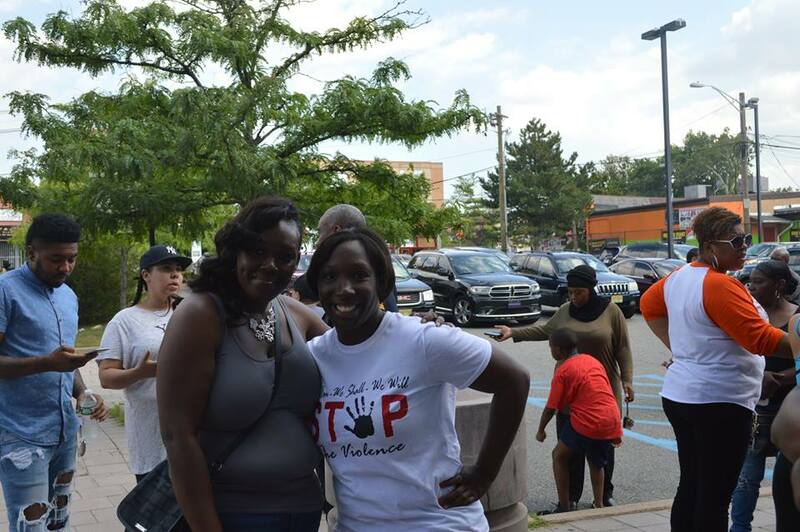 The purpose of the rally was not only for the residents to be able to speak with the Mayor but to also bring awareness to the entire community that crime and gun violence is unacceptable. What other community factions were involved? Why were they important? Orange Police Department and Mayor Dwayne D. Warren, Esq. were extremely corporative during the organization of the rally. 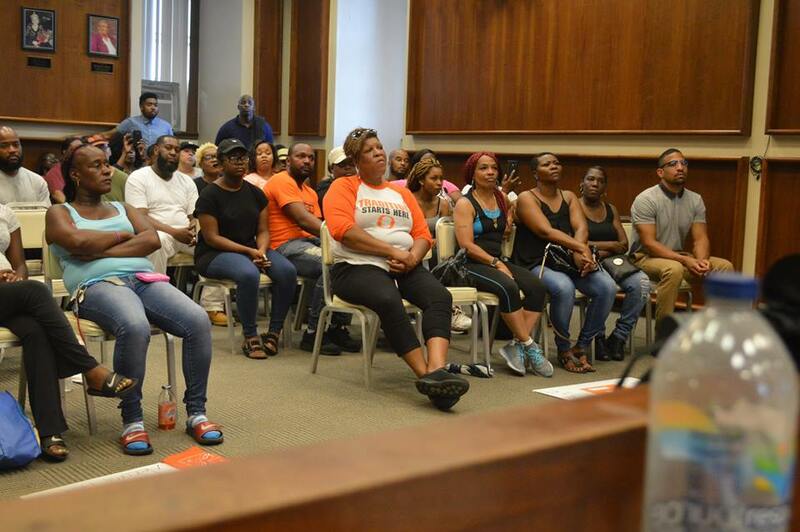 Mayor Warren understood the importance of the rally and how it was important for the community to be certain that his office and the Orange Police Department were working together to address the increase in crime. It was important to have the Orange Police Department involved with the rally because currently there’s a disconnect between the police department and the community. The community feels we don’t have a strong police presence. It was important for the police department to be visible during the rally to show we are united and together we will decrease crime. Acting Police Director Todd Warren was involved during the entire rally. 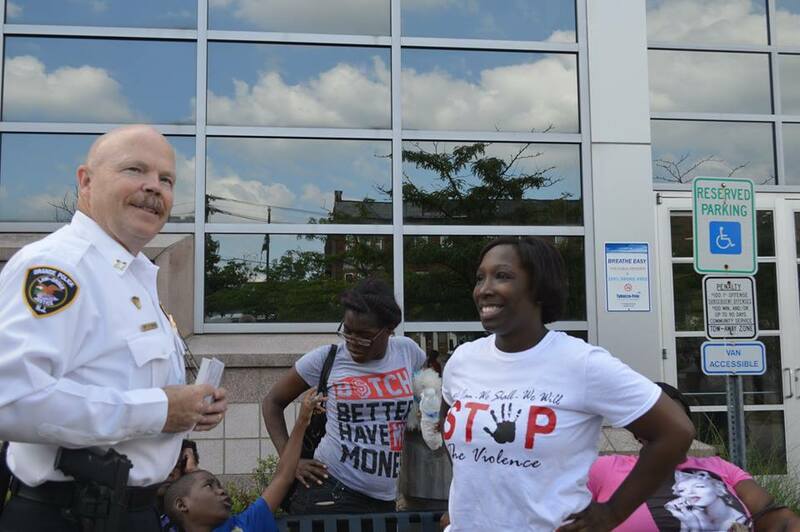 He answered questions outside of the police department as well as City Hall. It was important to have him there to show the community, although there are changes taking place within the police department, the community is still their number one priority. What do you hope can come out of community events like Don't Drop the Mic III and the community coming together to rally? I hope awareness and public participation will come out of the rally and Don’t Drop the Mic III. During the rally, I expressed the importance of people working in their communities and reporting crimes to the police department. The only way things are going to change is if the same people who attend such events and the rally also police their blocks. If you see trash on your street, clean it. If you witness crime on your block, report it. How do you feel about the recent violence in Orange? I feel the recent violence in Orange is in fact, preventable. The City of Orange Township is merely 2.2 square miles. Many of the residents have been here their entire lives and have said on a number of occasions, they are somehow related to the people who are committing these crimes. My question is, if you know them or are related to them, why do you still allow them to reside in your home? Anybody who is committing violence in our city should not be allowed to stay in our city. They are causing harm to other residents and should be evicted and relocated. I feel the violence will continue to happen until there is an aggressive approach to addressing the criminals. "I feel the violence will continue to happen until there is an aggressive approach to addressing the criminals." How can we all help restore hope with youth in the valley? In order to restore hope in the Valley, you must show there is life worth living in the Valley. Currently, the Valley is full of vacant properties filled with squatters and individuals who are committing crimes. There needs to be an aggressive approach to sell the homes or hold the banks responsible who own the homes. Fine the banks if the properties are not well kept and use the funds collected by the fines to help establish better programs for the youth. The conditions of those properties set the tone for the entire neighborhood. After cleaning the vacant properties, fill the neighborhood with community based projects and establishments that will give the neighborhood an economic boost. With the economic boost and the community moving forward with a cleaner living environment, implement programs specifically for youth in the Valley. Not just art, but college-ready programs, so the youth know they in fact have a safe haven to help them prepare for college. Etiquette classes, so the youth know how to prepare for a job interview and conduct themselves properly. Tutors to help the youth stay in school and pass their classes. Counselors to help the youth who dropped out of school get back into school. H ere is the thing; all of these ideas are great and there are many people in Orange who have initiated programs like this but lack the ability to find the proper funding. There needs to be someone in place specifically for the Valley that knows how to write grants and has the ability to seek out funding sources and keep them, so the programs may have longevity. With these steps taken, hope will be restored with the youth in the valley. Thank you for taking your time to give us this interview!